As you might have seen on our Facebook page, my mom and sister were over at our house this past Friday, and my sister showed me this really cute video of Marcel the Shell with Shoes On. This video really touched me because Marcel is confident and content with who he is. His introductions shows that he values himself. Do you value yourself? I know that I don’t usually feel that way. More often, I beat myself up in my head for not doing things as well as I think I could. I certainly wouldn’t introduce myself has having “a lot of other great qualities as well.” But Marcel truly believes this about himself, and it’s true. So often in life, we compare ourselves to people *we think* are doing a better job than us. I’m guilty of feeling like I’m not as good as a wife as I could be, or a daughter for that matter, or a sister, or a friend—a cook, a meal planner, a gardener, a designer, a photographer, a dancer, a writer, a Christian… The list could go on and on! How many of you find yourselves just plain ol’ wore out and beating yourself up for not being “enough”? It’s a terrible cycle. I present, the all original “Marcel Compares” Meme! There was one other line from Marcel the Shell with Shoes On that I found myself repeating over the last few days—either out loud or in my head. So I decided to make a meme! 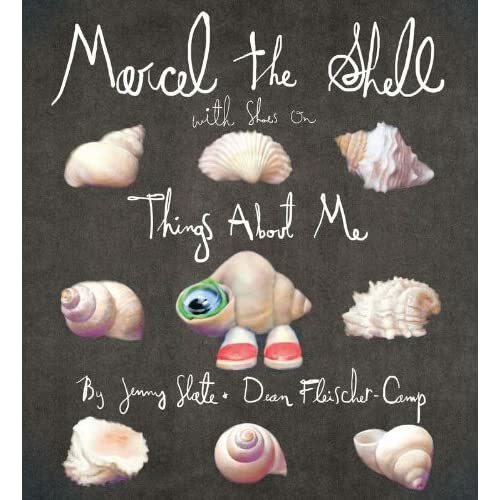 Marcel the Shell also has a book (which I intend to get whenever I plan to buy enough books to get free shipping on Amazon again). I’ve heard great things about the book. It’s supposed to have subtle humor for the adults and be really funny for the kids. I’m hoping to enjoy it now and also again later to read to my future children. So cute. I like yours as well!